You are here: Home / Elder Law / Medicare's Part B Premium Will Be Unchanged in 2018, But Many Will Pay More. Got That? The announcement of the 2018 Medicare premium is good news for some beneficiaries and bad news for many others. The good news is that the standard monthly Part B premium, which about 30 percent of Medicare beneficiaries pay, will again be $134 next year, unchanged from 2017. But most Medicare recipients pay a lower premium because they have been protected from any increase in premiums when Social Security benefits remain stagnant, as has been the case for the last several years. This year, that premium has averaged $109 a month, but due to the 2 percent Social Security increase for 2018, the premiums of these formerly protected beneficiaries could rise significantly. An estimated 42 percent of these beneficiaries will pay the full monthly premium of $134 due to the increase in their Social Security benefit. The rest will pay less than $134 because the increase in their Social Security benefit will not be large enough to cover the full Part B premium increase. 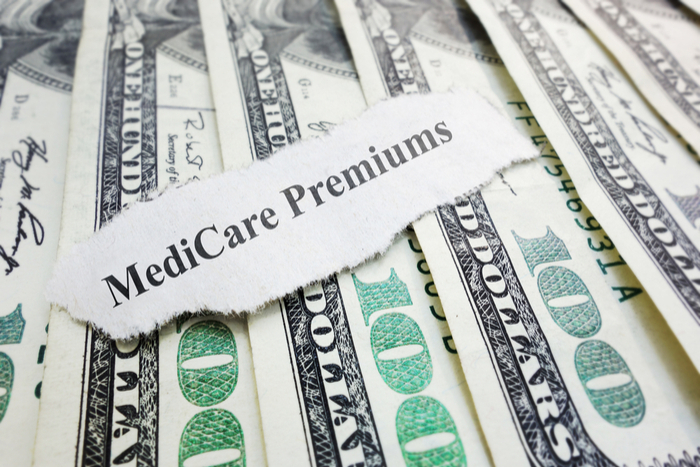 The average premium for these beneficiaries will jump from $109 to $130 a month, according to the Centers for Medicare and Medicaid Services (CMS). The Part B deductible will remain at $183 in 2018, although the Part A deductible will go up by $24, to $1,340. For beneficiaries receiving skilled care in a nursing home, Medicare's coinsurance for days 21-100 will inch up from $164.50 to $167.50. Medicare coverage ends after day 100. So-called “Medigap” policies can cover some of these costs. Individuals with annual incomes between $85,000 and $107,000 and married couples with annual incomes between $170,000 and $214,000 will pay a monthly premium of $187.50 (unchanged). Individuals with annual incomes between $107,000 and $160,000 and married couples with annual incomes between $214,000 and $320,000 will pay a monthly premium of $267.90 (unchanged). Individuals with annual incomes between $160,000 and $214,000 and married couples with annual incomes between $320,000 and $428,000 will pay a monthly premium of $348.30 (unchanged). Individuals with annual incomes of $214,000 or more and married couples with annual incomes of $428,000 or more will pay a monthly premium of $428.60 (unchanged). Rates differ for beneficiaries who are married but file a separate tax return from their spouse. Those with incomes greater than $85,000 will pay a monthly premium of $428.60. Those who enroll in Medicare Advantage plans may have different cost-sharing arrangements. CMS estimates that the Medicare Advantage average monthly premium will decrease by $1.91 (about 6 percent) in 2018, from an average of $31.91 in 2017 to $30 in 2018. For Medicare's “Medicare costs at a glance,” click here.